A few days ago Mars Exploration Rover Opportunity finally reached Odyssey Crater, which lies within the much larger Endeavour Crater. This is a huge milestone for the Mars rover, which has performed longer and traveled further on the Martian surface than anyone would have though possible when it landed in January 2004. The question now is, what is so significant about Endeavour Crater? Why has Mars Rover Opportunity spent the last three years trying to get there? NASA and other people following the mission are excited, but the average person probably has no idea why. How is Mars Rover Opportunity's new location any different than its previous ones? What is its mission? 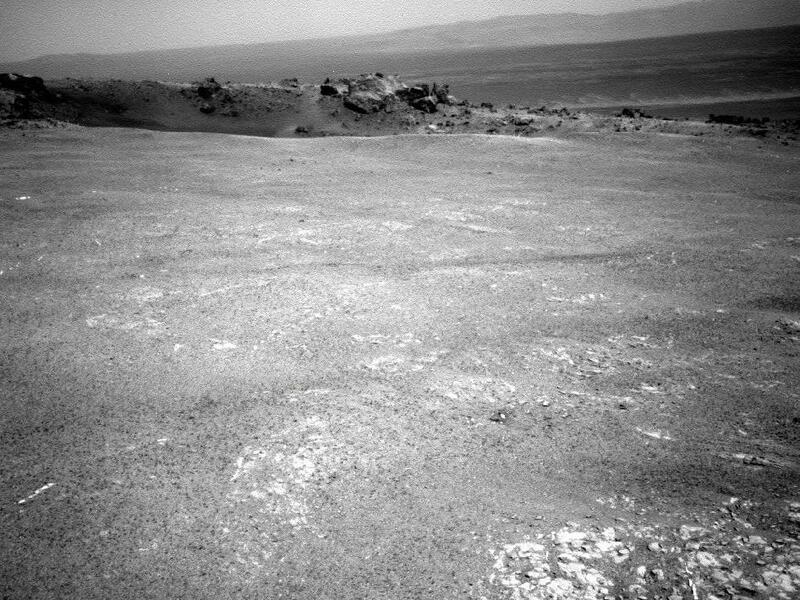 Endeavour Crater is the largest crater ever explored by Mars Rover Opportunity and contains older geological deposits than it has ever encountered. This will allow Opportunity to get a better sense of how long there was water on the Martian surface and will even provide insight as to the quantity. That is simple enough; as the Mars rover did that in other craters as well; what is exceptional about Endeavour Crater is found around its rim. Mars Rover Opportunity has examined a large number of rocks and samples of Martian soil since it landed in January of 2004, but it has never encountered rocks like those found around Endeavour Crater. In the past Opportunity has examined clays that show signs of being formed under wet conditions, but when the Mars rover determined their chemical composition it was determined that they were very acidic. What makes Endeavour crater different is the composition of the clays surrounding it. 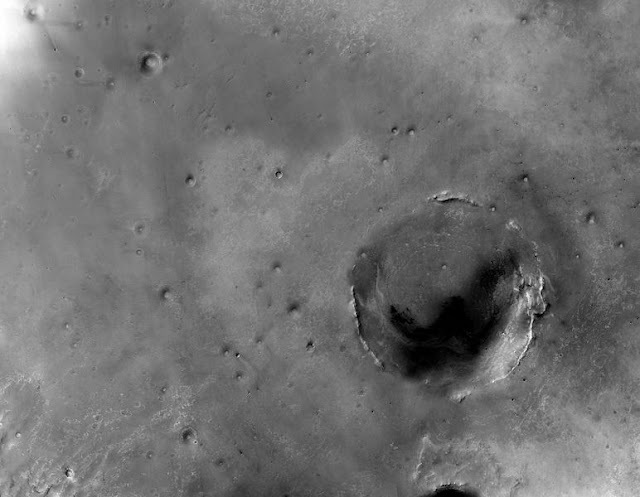 The Mars Reconnaissance Orbiter determined that the clays surrounding Endeavour Crater are of low acid content, much like the clays detected in and around Gale Crater, the landing site for Mars Science Laboratory, Curiosity. Since Curiosity is not set to land until August of 2011, the fact that Mars Rover Opportunity has found similar clays will give us a chance to take a first look at them. Odyssey Crater on the rim of Endeavour Crater, which can be seen beyond. Notice the clays around Odyssey Crater. Simply put, clays with low acidity are thought to be proof of an environment that was stable to life. It is thought that warmth, moisture, and low-acidity levels provide a suitable environment for the development of life. The clays examined by Mars Rover Opportunity in the past have had the first two characteristics in that they seem to have been formed at a time when it was warm and wet on Mars. Unfortunately most known life is unable to survive in an environment that is highly acidic. The clays found around Endeadvour Crater are low-acidic and so they represent the real possibility that Mars was once habitable. Once Opportunity is able to confirm that the clays do indeed have low-acidity, it will be able to determine whether the clays were formed in a habitable environment. Not only will we be able to discover whether Mars was habitable, but we will also be able to determine if it once contained life. There are some who hope to find tiny fossils within the clays. While this is unlikely, there is a very real possibility that Mars Rover Opportunity could see tiny fossils if they are in the clays. So why should you care? Because Mars Rover Opportunity's new mission could find evidence of life on Mars. While it is possible that Opportunity will discover tiny fossils in the clays around Endeavour Crater, it is more likely that any discovery of life will be made by the Mars Science Laboratory Curioisity when it lands at Gale Crater in August 2012. Curiosity has more scientific instruments and has been designed to detect past or present life and determine if Mars was habitable, so it will likely have more luck than Opportunity, which was designed to explore and help humanity understand the Martian past by examining rocks and soil samples. Diagram of Mars Science Laboratory Curiosity, with different instruments labeled. The important thing to remember is that the Mars Science Laboratory Curiosity is being sent to Gale Crater because it has the same clays that Mars Exploration Rover Opportunity has been able to find. NASA felt an examination of the clays warranted sending the most advanced Mars robot ever created. These clays are important and may hold the answer to the centuries old question, has there ever been life on Mars? The fact that Opportunity is now getting a chance to examine these very important clays means that evidence of life on Mars could arise any day. The importance of Mars Rover Opportunity's new mission can not be understated as it could determine whether there was life on Mars, thus almost certainly ensuring future Mars travel in order to learn more about said life. An interesting note, especially mentioning the low-acidity clay. Just to keep in mind though, early life on earth developed based around methane, not oxygen, in much more acidic environments. It was only after that when oxygen based life began to develop. With that said, who knows what could still be living there, a possible relic of a once more diverse ecosystem!